Why are ornaments so expensive????? 1. 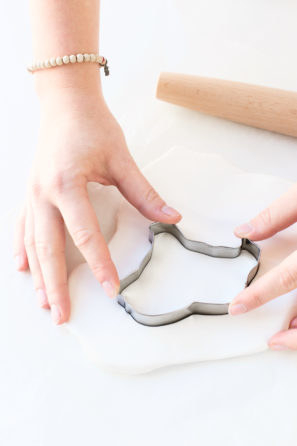 Make a bunch of ornaments with modeling clay and a cookie cutter. They may even make a good gift if yours turn out as cute as these. Learn more here. 2. Then hang the cookie cutters up next the clay ornaments when they're done. 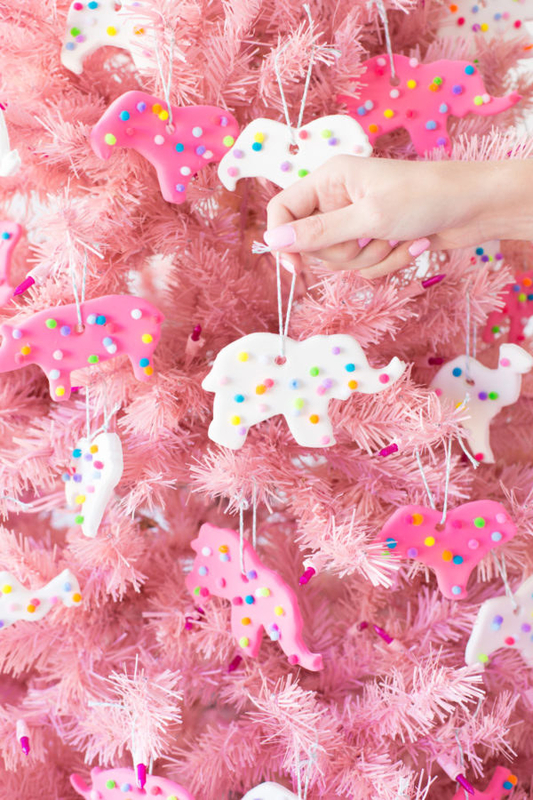 When the holiday is over just cut off the string and remove any glitter or glam you added, so you can continue to use your cookie cutters during the year. Learn more here. 3. String up bells and jingle all the way around the tree. Pick up a box of bells from your local craft store and hang any extras on your front door handle, so your guests are greeted with festive sounds every time they walk inside. Learn more here. 4. Decorate with air plants to make a fake tree look more lively. Stitch this adorable felt pineapple pocket with some needle and thread, then add a tiny plant. Learn more here. 5. Pick up sticks and tie them into stars and snowflakes. Literally costs $0 if you already own the string. Learn more here. 6. 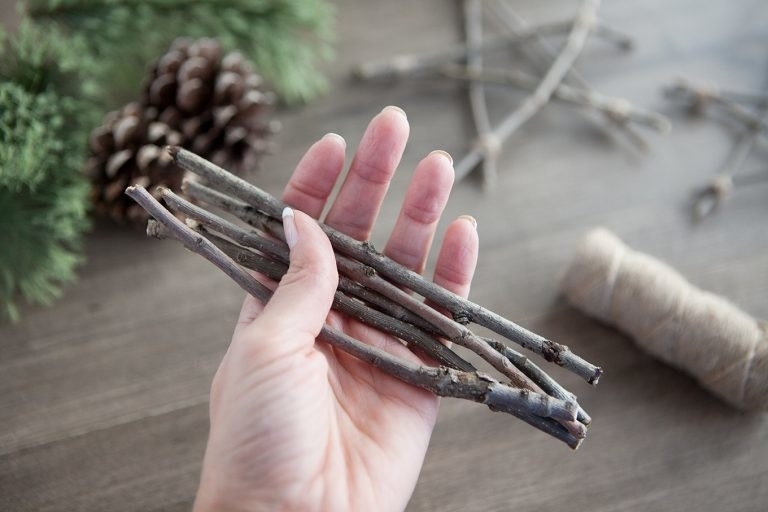 Freshen up your tree with these fragrant cinnamon triangles. 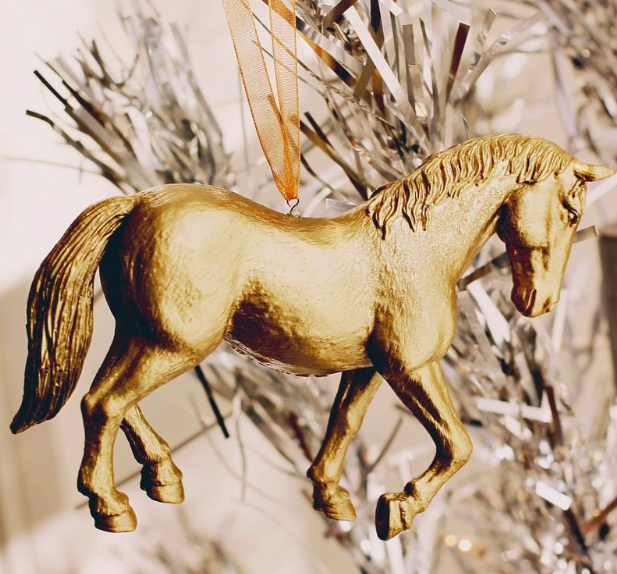 Snip a few pieces off your garland to add some neat accents. Learn more here. 7. 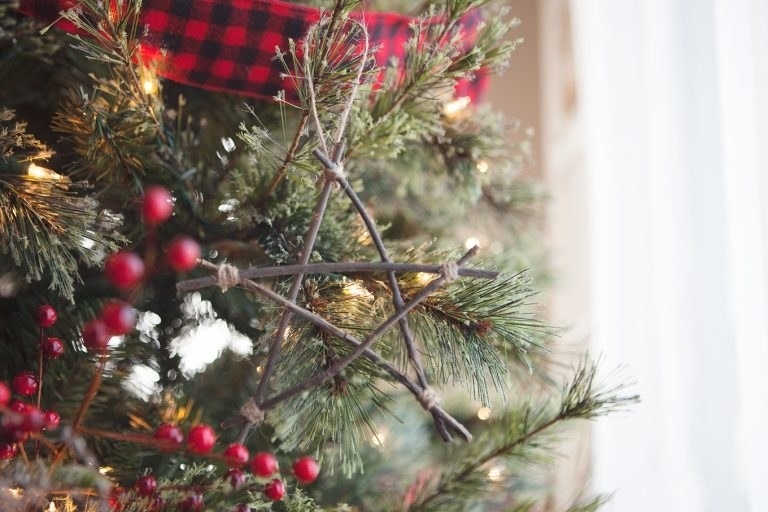 Wrap popsicle sticks in string to make a super simple, but incredibly festive star. These are a perfect project to do with kids. Learn more here. 8. Dry out orange slices to accent the glow of your string lights. Glue stars, cloves, or cinnamon sticks to the slices for something a little more special. Learn more here. 9. Glue together Scrabble pieces if you get especially punny during the holidays. Jokes so bad, they're good. Learn more here. 10. Sort through your bead collection for an ornament that's super subtle. You'll be able to re-use the beads for other projects when you take down the tree! Learn more here. 11. Glue photos of the family to some card stock to add a sweet personal touch to your tree. 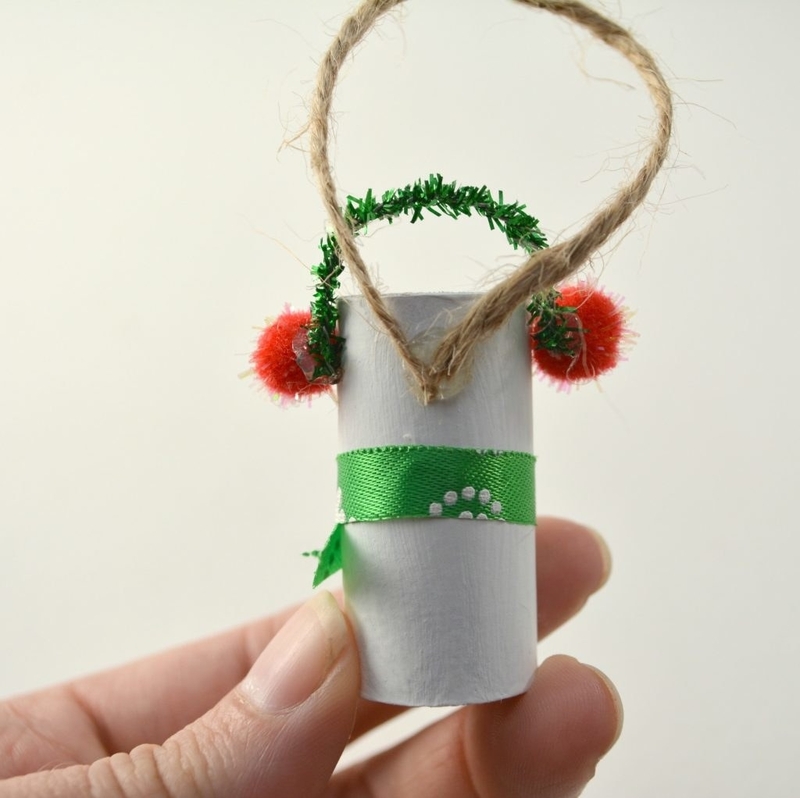 Glue a red cotton ball to their noses if you've got a soft spot for Rudolph. Learn more here. 12. Fold origami boxes and tie them with a ribbon to make an ornament that's truly a gift. Once you figure out the fold, you'll be able to make these in your sleep. Learn more here. 13. 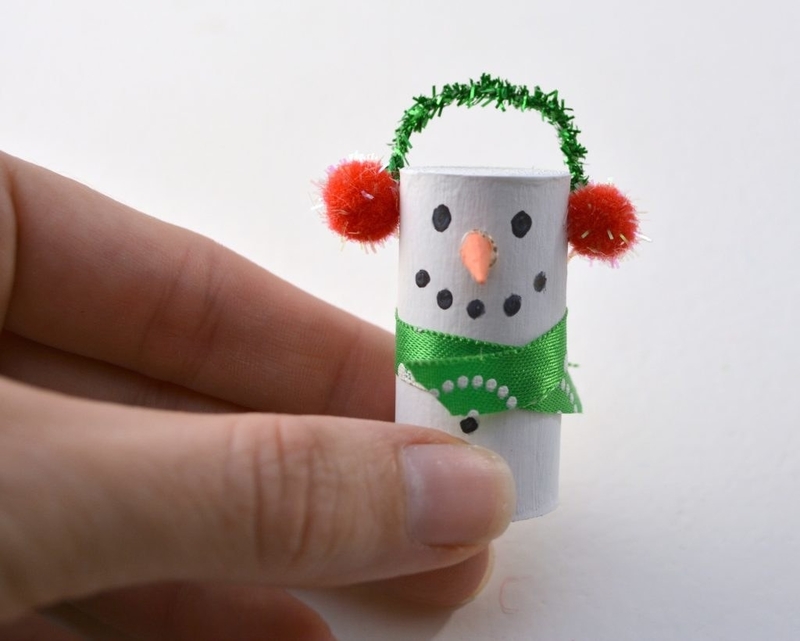 Paint some of those wine corks you've been saving for seemingly no reason and turn them into tiny snowmen. THIS IS THE CUTEST THING I HAVE EVER SEEN IN MY LIFE. Learn more here. 14. Pull a piece of thread through a ribbon to quickly add some color to the tree. These are felt pieces with a stitched accent, but the project works just as well with ribbon you'd use to wrap your gifts. Learn more here. 15. And gild plastic animals if you're feeling especially fancy this year. 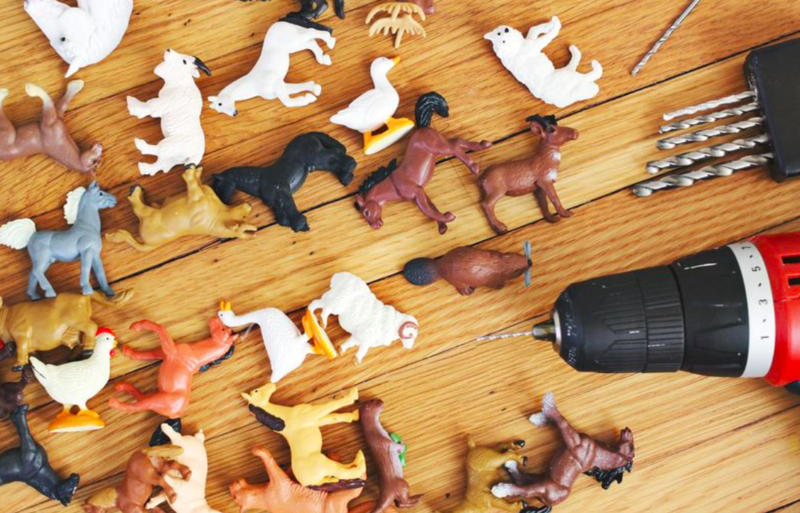 Drill holes in the tops of the figurines or just tie the string around their bodies. Learn more here.